At a time when we’re conditioned to expect more and more from video games in our living room, mobile gaming has moved in the opposite direction. A game on a living room console could and should take hours to complete. Players should feel like they’re in a world with its own heart beat, pulse and culture, we as gamers collectively tell ourselves. It’s ironic that at the same time as we’re pushing console developers to deliver more mobile games are stuck in a rut. They’re basic, short and most don’t feel like living worlds at all. Out of this put of top-down shooters and puzzle games comes Order & Chaos 2. 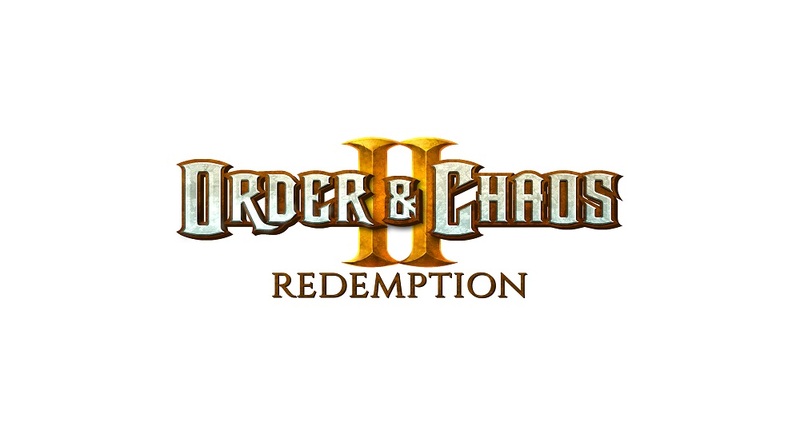 Order & Chaos 2: Redemption is a living breath world. 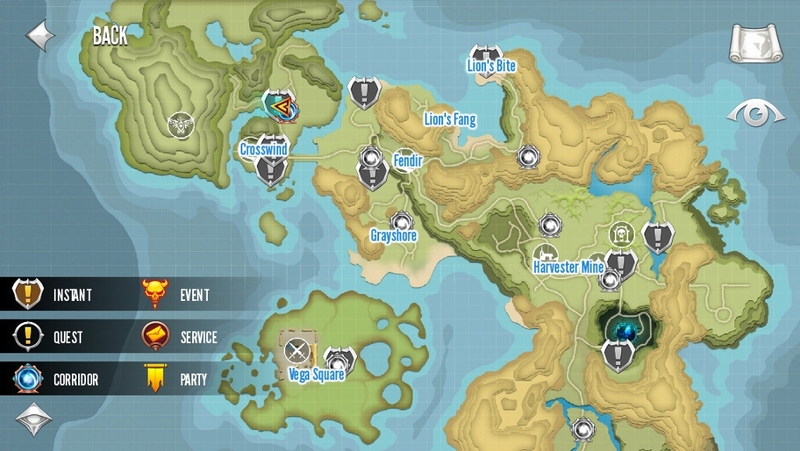 It’s map is sprawling; systems for creating and customizing a character are robust. Completing the game takes an attention to detail and ingenuity. 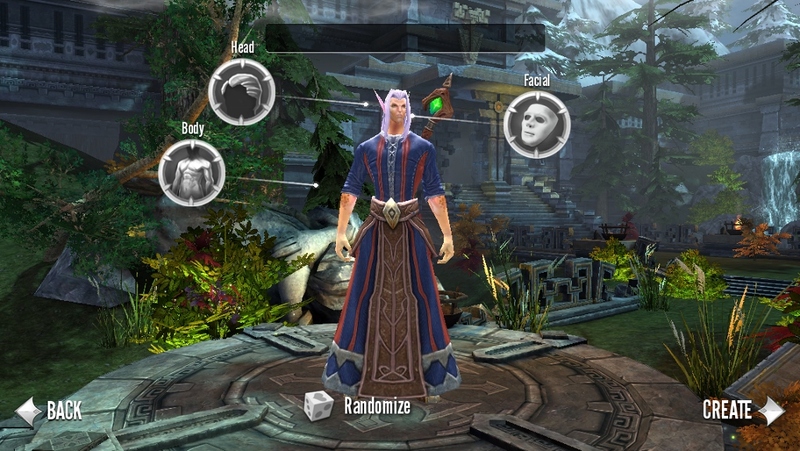 Order & Chaos 2 could be the greatest role-playing game the mobile world has seen yet. Certainly it’s a very competent effort at bringing console gaming to the small screens in our pockets. Order & Chaos 2 begins where its sequel, Order & Chaos, left off. Players in the last game thought that they were doing the right thing by destroying the Primal Heart. They were wrong, at the beginning of Order & Chaos 2 players do the unholy deed in shiny red armor to disastrous results. Moments later iOS, Android and Windows players are creating a new character from one of the game’s classes and setting the foundation for the rest of their time in the game and taking in the game’s pompous soundtrack. Order & Chaos 2 has five different races to chose from. Mainly they’re hold overs from other MMO/fantasy games. They are Orc, Human, Elf Mendel and Kratan, which is new for Order & Chaos 2. Players can choose any of those races and go further with a sub class of Blood Knight, Ranger, Mage, Warrior or Monk, but they can only choose one. The reality of any game is that the mechanics have to work. It doesn’t matter how the world lives on past the events caused by the destruction of the Primal Heart. The game needs to be fun and engaging. 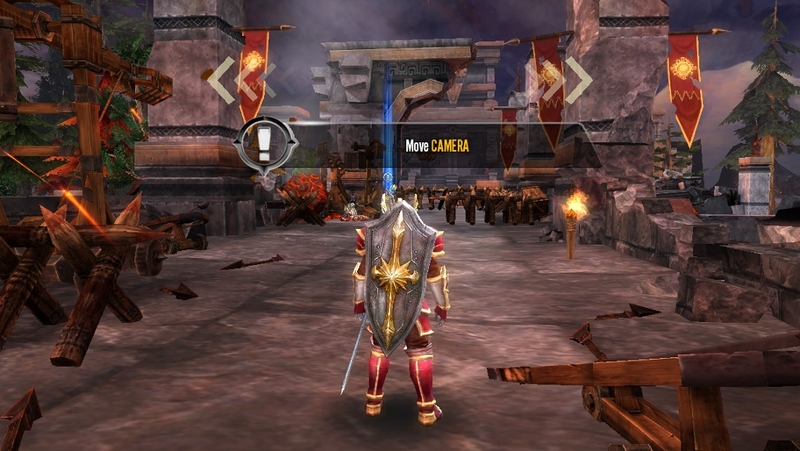 Gameloft, Order & Chaos 2’s developer, had double the work of the average game developer. It had to balance traditionally complicated systems with the limitations of being playable on iPhones and iPads. The systems you’d expect are there. Players can’t customize the face of their character, but can customize their character’s look skills and abilities. Weapons crafting is also featured too. The camera floats just beyond your player, letting you get a full look at the vast world that sits in front of you. MMORPG stands for massive multiplayer online role-playing game, and they all involve playing with other humans to get through levels. Teams of heroes can band together to make it through the game’s dungeons and more. Backing this system up are missions that you can do on your own without the help of multiplayer. The types of missions that players go on are typical MMO quests and challenges. Smaller quests litter the landscape of Order & Chaos 2. You go on those to earn experience and loot to use in the game on new extras. I spent more time than I’m willing to admit chasing down some suspicious looking bears in a wooded area, for an example. That was a simpler quest. They can and do get more complicated, but I won’t ruin them here. Console games need to have plenty of activities and Order & Chaos 2 does. 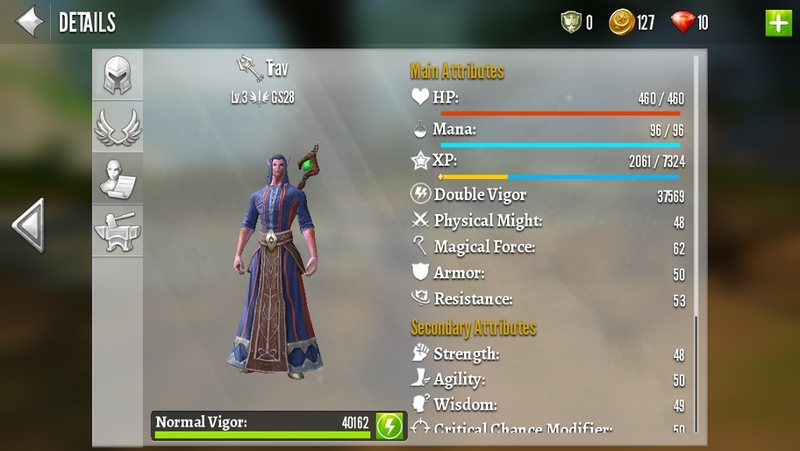 The game has to reckon with mobile mechanics too. Order & Chaos is a completely free game. Instead of a cover charge, the game is governed by an economy based on Ruins and progress. You can buy more Ruins to progress through the game or put in the hard work and slowly craft the items you need. There’s a lottery that encourages players to come back often and try their hand at winning extras. All of these are much appreciated. Many won’t ever purchase Runes, but they’re there for the person who doesn’t have a lot of time to play the game’s lottery and questing. This is a mobile game after all. You move around by single tap or by manipulating the camera on your character’s direction with two fingers. Order & Chaos 2 really does feel like you’re playing a twin-stick console game. Moving around levels felt natural and fluid. Battles are fun because of the controls, but can easily feel repetitive if you aren’t using all the abilities you have at your disposal. That’s the same problem standard MMOs have. For as long as there have been online role-playing games there have been complaints about ease of use. Order & Chaos can be daunting to the MMO new comer. At the same time as you’re trying to manipulate your character and fight foes you’re having to struggle with the game’s menus. Every inch of my iPhone 5s’ screen felt stuffed with information. On the right are character customization. On top is a progression bar and a compass that doubles as a detailed map. On the right is another menu for handles settings and game information. Complicating matters is a very segmented way of gating the activities that users can do. Large swaths of the experience don’t unlock until you’ve progressed high enough and sometimes its easy to forget what unlocks are available when. Forging weapons and crafting aren’t something that you can do immediately, for example. Part of keeping you coming back day after day involves gating the experience, which is a bit strange in an MMO. Most people I know play MMOs in large spurts, but Gameloft actively prevents that up to a point each day with Order & Chaos 2. Order & Chaos 2 Review: Should You Play It? The question isn’t whether you should buy Order & Chaos 2. The game is free after all. The question is whether investing in Order & Chaos 2 is worth it. It absolutely is. Gameloft pulled off a console experience on a mobile device. Combat is phone and there’s enough here to keep you coming back for a very long time. Gameloft just has to work through some issues related to getting users on-board with all the options and things they have at their disposal.